The Broad houses over 2,000 works of contemporary and post-war art. Looking for the highlights? Here are the art works on display you don't want to miss. 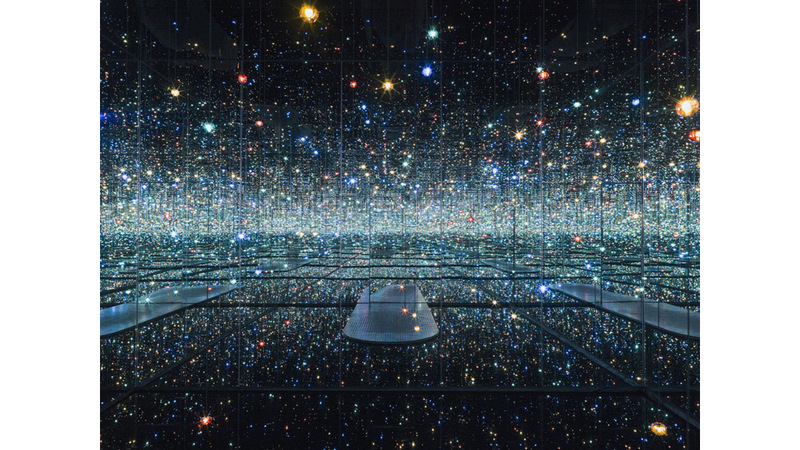 Eli and Edythe Broad have a collection of over 2,000 post-war and contemporary works of art. 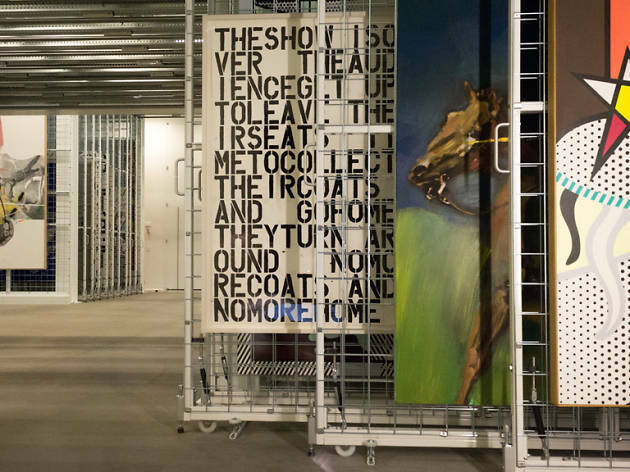 They've finally found a place to show off all of that art—at their namesake museum, the Broad. You can only expect 250 or so of those to be on display at any given time, but that's still a sizeable selection of artwork to navigate. 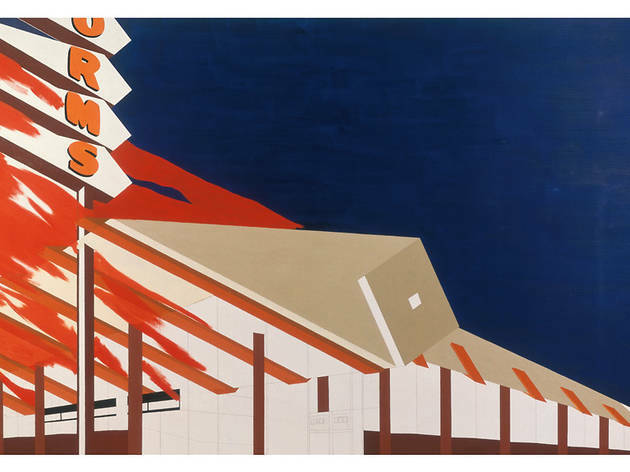 Though much will be made of the collection's relatively safe selections and reliance on high-priced gallery prizes, it's an important addition to LA's museum landscape. Moreover, there are plenty of pieces of art worth seeing; we've highlighted some of our favorites below. 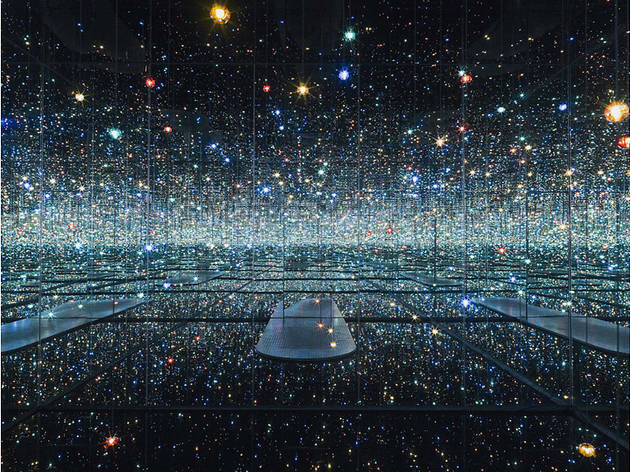 Yayoi Kusama, "Infinity Mirrored Room"
Step into this pint-sized chamber, lined with mirrors and LEDs, and you'll be transported into a twinkling, pulsating starfield. The installation is only viewiable for 45 seconds and with a timed reservation, which you can make at the museum. 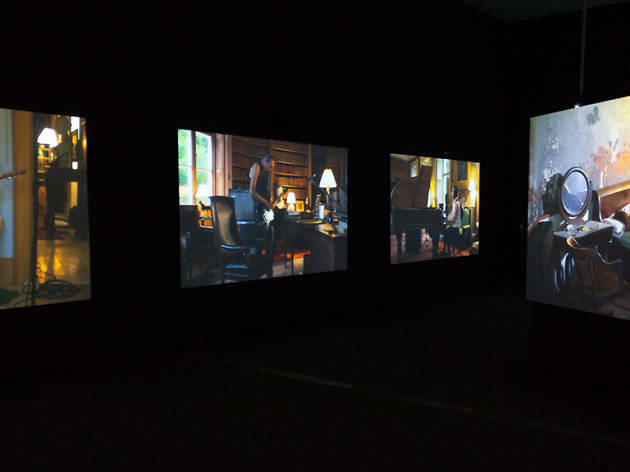 This single take, hourlong video piece is the most sincere and beautiful installation in the entire museum. You find yourself in the company of a group of musicians, or at least their likenesses, as their evocative recorded performance plays out across nine screens. 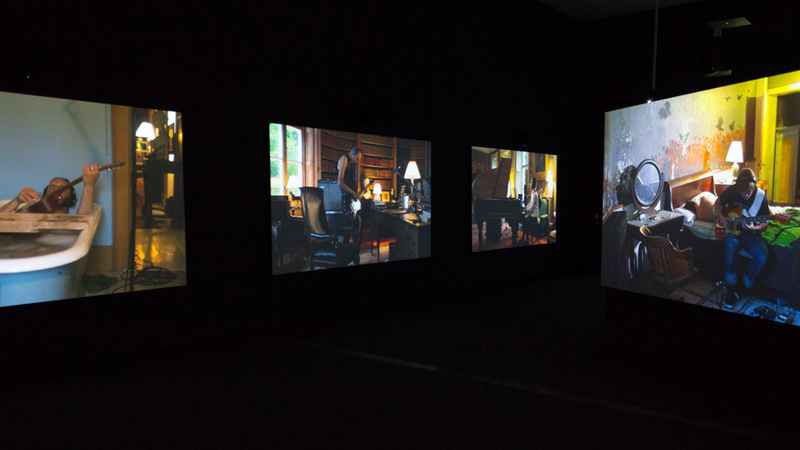 Each projection is dedicated to a different room and musician—look for Kjartansson himself sitting in the tub—and one to the Hudson Valley house where they all take place. 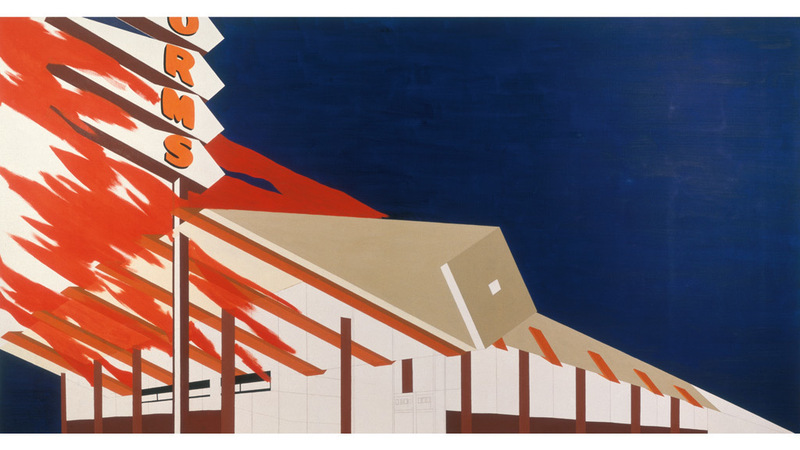 Ed Ruscha, "Norms, La Cienega on Fire"
Ruscha would go on to set a few Southern California landmarks ablaze in his paintings, but for his first such work he chose the iconic Googie diner. The Broads have 122 works from Cindy Sherman in their vault, including 14 from her landmark "Untitled Film Still" series, in which the photographer poses in Hollywood-like portraits. They're displayed here on a tabletop, bringing a new perspective to the clever, provocative photographs. 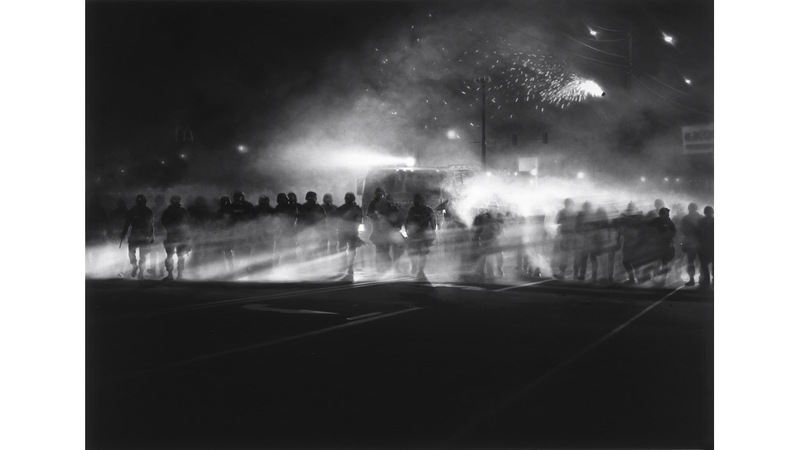 Robert Longo, "Untitled (Ferguson Police, August 13, 2014)"
You could easily mistake this Robert Longo piece for a photograph, but the 10-foot-wide charcoal drawing captures so much more than simple documentation. 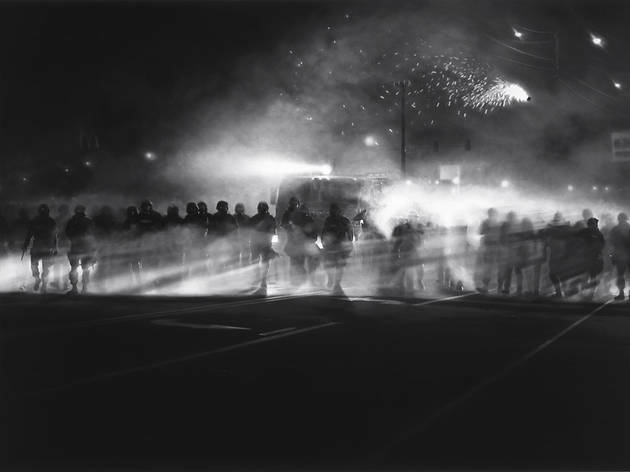 The smoky, stark scene of police standing at the ready in riot gear is a haunting depiction of the civil unrest that had taken hold of Ferguson, Missouri. 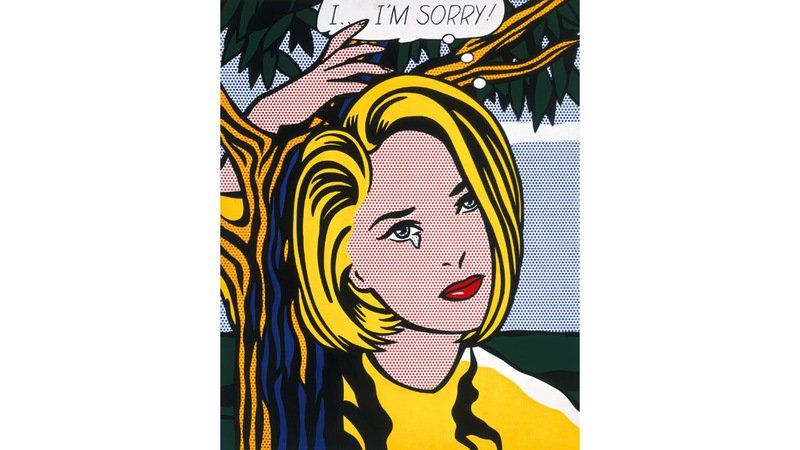 One of the musuem's liveliest spaces is a third floor corner dedicated almost entirely to Roy Lichtenstein. 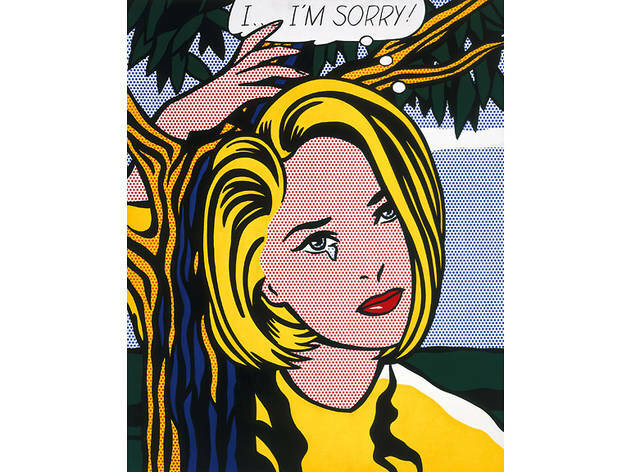 The pop-art pioneer references consumption, culture and centuries of art movements across technicolor canvases and sculptures; this one in particular includes nods to feminism, comic books and pastoral Renaissance paintings. 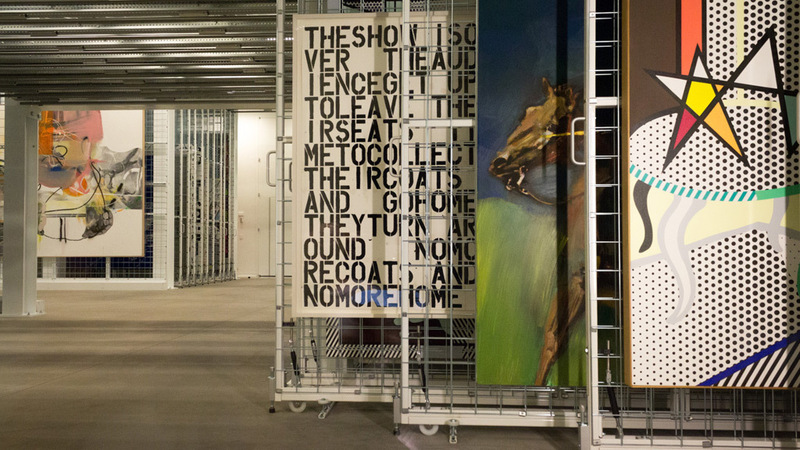 We suppose a storage space isn't exactly a piece of art, but it sure begins to feel like one at the Broad. Large parts of the museum's first and second floors are dedicated to collection storage. You can take a peek inside from the central staircase; you'll immediately recognize the familiar handiwork of some big-name artists. It's a novel feature for an art museum, and one that doubles as a means of showing off the breadth of the Broad's collection and a carrot dangling to get you back into the museum for the next exhibition.